WEST WINDSOR – To say that worthy causes receive a ton of support from Mercer County Community College (MCCC) students is no exaggeration, following the success of “Penny Wars II: Revenge of the Piggy Bank,” a fund-raising project organized by the college Student Life and Leadership Office. Nearly 20 organizations and individuals participated in the fundraiser for Alex’s Lemonade Stand, which funds cutting-edge research and support to children with cancer and their families. Total, $1,331.61 was raised for the charity, shattering last year’s impressive tally by more than 17 percent. To put things in perspective, that is 912 pounds of pennies – nearly half a ton. "This year was so successful because we had more involvement from both the students and the staff," said Jeannette Clugsten, event coordinator for Student Live and Leadership at MCCC. "I think the reason our total increased this year was because of the competitive drive groups and individuals had to collect the most pennies for Alex’s Lemonade Stand." Participants were divided into three groups: large group, small group, and individual. The competition was open to all students and student organizations, as well as college faculty and staff and college offices and departments. 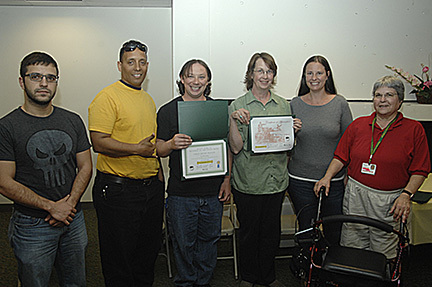 For the second year in a row, the MCCC Alliance of Veterans and Supporters won the large group competition, with the Leadership Education and Development (LEAD) program taking honors for small group. Student Diamond Williams was the top fundraiser in the individual category. All participants were treated to a pizza party on May 6 to celebrate the final results and recognize the top contributors. 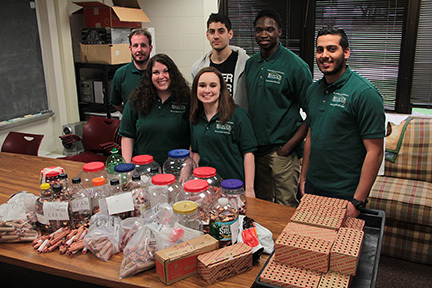 WINDSOR – To say that worthy causes receive a ton of support from Mercer County Community College (MCCC) students is no exaggeration, following the success of “Penny Wars II: Revenge of the Piggy Bank,” a fund-raising project organized by the college Student Activities Office. Members of the MCCC Student Government Association with some of the 133,000-plus pennies collected for Alex's Lemonade Stand. 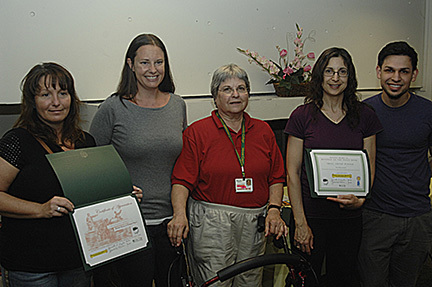 For the second year in a row, the MCCC Alliance of Veterans and Supporters was the top fundraiser in the large group category. 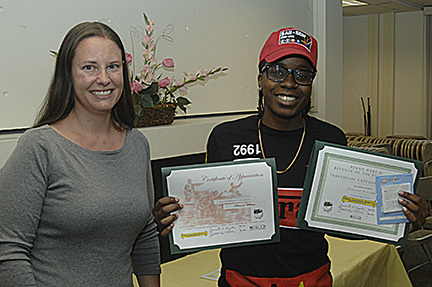 MCCC student Diamond Williams (right), pictured with MCCC Student Life and Leadership Event Coordinator Jeannette Clugsten, collected the most pennies in the individual category.